We recently held our inaugural Far North Queensland Lifesaving Camp​ to St Teresa's College in Abergowrie. The background regarding the camp concept came from our After School Lifesaving class. There was great interest in the Far North Queensland trip, for which all students submitted an application and underwent an interview process prior to selection. Students were chosen based on their classroom behaviour, lifesaving involvement and their interview. The focus of the FNQ camp was to assist a group of boys from St Teresa's College in Abergowrie, a remote indigenous boarding school to attain invaluable lifesaving skills and knowledge. Throughout the week of our visit to St Teresa's College we built on their skills they had and assisted them in achieving the completion of their Recreational Bronze certificate. This qualification will assist them in gaining employment and provide them with skills that they can use throughout their everyday lives. The focus of this camp is not only lifesaving but also an opportunity to get to know these students, immerse ourselves in their culture and learn from them through activities such as painting, dance, cooking and storytelling. On our return after lengthy discussions and reflection on the activities and values, we are delighted with the meaningful participation in leadership lifesaving activities. The diverse cultural exchange our students experienced has left them feeling enthusiastic about making the world a better place. To build on the success of our visit to St Teresa's College we have invited their students to participate in our annual Lorne Lifesaving camp in November. At the conclusion of this camp the students will complete either their Surf Bronze Certificate of Surf Rescue Certificate. This certificate will enable them to go back to FNQ, patrol at local beaches in Townsville and take back invaluable lifesaving skills to their own communities. Our aim is to create a self funded and accessible program for students who will be invited to apply, be interviewed to participate in this exciting partnership and exchange of culture and skills annually. Through our fundraising partnership with the Sports Foundation, donations to this program are tax deductible. Please show your support by donating today! My Grandson went on this program last year and really enjoyed his experience mixing with the Indigenous students. Particularly he loved going bush overnight and learning how to live off the land. He made good friends with two boys who told him all about \'\'Country\" and how much attachment to land meant to them. One of the boys came down to the Camp at Lorne and they have become good friends. Angus is excited he has been selected as a leader to go again this year. Great initiative. Hopefully look forward to getting down to the camp! 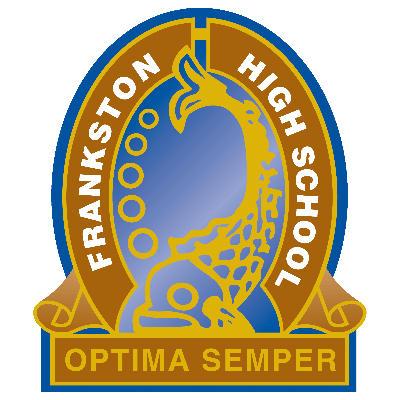 Fantastic program Frankston High School!